My trip back home this time was a little different from the years before. I didn't manage to meet some of the people I wanted to, or would usually do. On the other hand, I was pleased that I was able to catch up with old friends whom I have not met for some time. I did pray that He would guide me to whom I should meet, where I should be, and what I should be doing this time around. Throughout last year, I've been thinking what I should be getting for loved ones back home. I didn't want to repeat the mad rush of Christmas shopping just a day before flying, and fretting out if I got enough gifts for everyone. Since I'm not such a sports person, I thought it a waste that I wasn't enjoying the benefits of our company's products. I decided to ask around my marathon friends if they were interested in any shoes. From my personal experience, they are good and worth the price, even if it's premium. One of the persons who responded was Eric. He wanted to be the first in Malaysia to own a Kayano 21. Speaking about being kiasu! 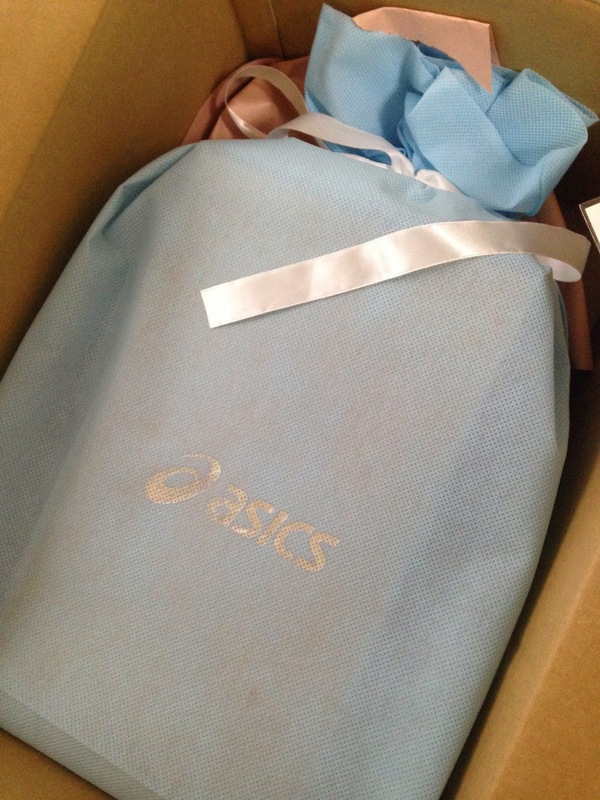 I was delighted that the Japan site was offering free gift wrapping and delivery due to the upcoming holiday period. It came nicely and carefully packed; again thumbs up Japanese quality of service and delivery. The Christmas gathering that he invited me over turned out to be such a mix bag of surprises. I managed to meet up with Alex whom I have not spoken in years, a little since we 3 did Run Nat together. Bumped into Sam, didn't know he knew both of them! He was the one who consoled me when I lost Granma Wong while in Tokyo, especially when I was still new there. And towards the end of the evening, we had the pleasure of hearing how Eric had just proposed to his fiancee that day itself. Plus many new friends I made who were curious about my life in Japan.